Find out how to spark aliveness and the sense of optimism, courage, confidence and contentment that comes along with it. We spend way too much time living in our heads feeling dulled and disconnected. As adults we move further and further away from natural childhood curiosity and excitement. We mute our enthusiasm for the delightfully simple things in life in exchange for getting more stuff done. 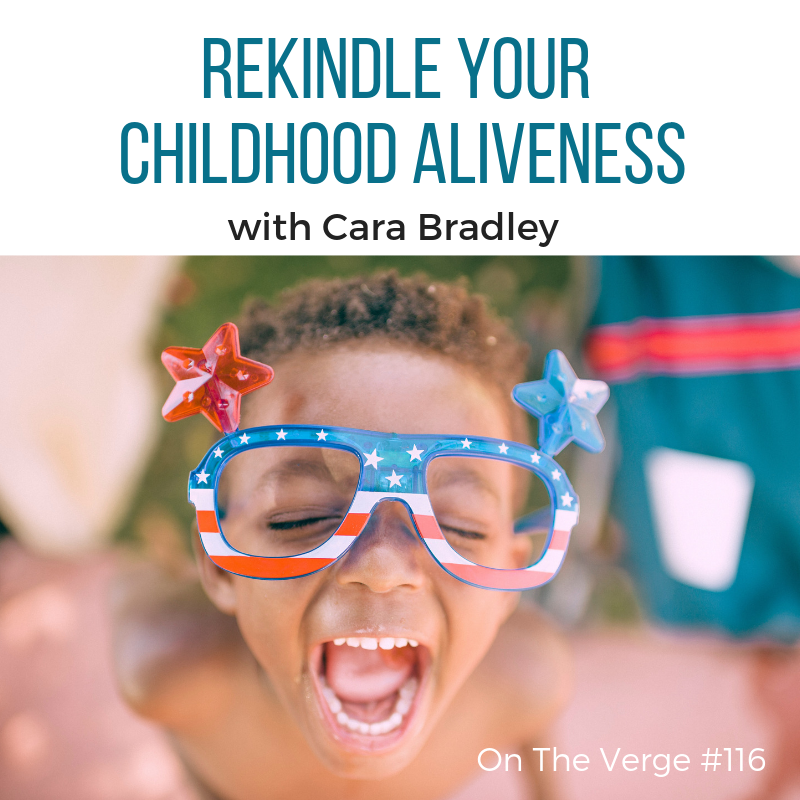 In this episode, Cara talks about a better way to live by being a kid again. Using her life as example, she takes you on a journey of childhood experiences when she felt awake, engaged and fully alive. Furthermore, she points to how we can rekindle our sense of childhood aliveness by paying attention and noticing flow—our optimal state of awareness when we feel and perform our best. Finally, she explains how not to bypass the extraordinary opportunities happening every day to live in flow by encouraging you to lean into the experience feeling fully alive and the sense of optimism, courage, confidence and contentment that comes along with it. Love this podcast? Leave a review on iTunes or GooglePlay and help more folk wake up, show up and live in flow. PrevPrevious#115: What Are You Most Curious About?